﻿﻿The 2013 Boston Irish Festival looks to be better than ever this year, with entertainment spanning from internationally recognized headliner acts to homegrown talent, as well as the 5K Road Race, Redhead World Record Photo, Boston Irish Festival Feis, Tug of War Competition, Darts Competition, and much more. This year’s Friday night concert features Eileen Ivers and Immigrant Soul playing the fierce, innovative style of traditional Irish music for which they are world-renowned. 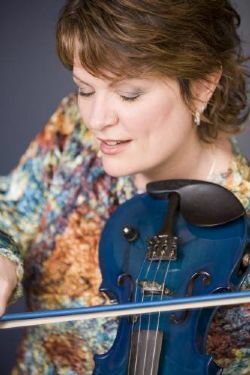 Eileen Ivers is a nine-time All-Ireland fiddle champion and has toured with such outstanding Irish groups as the Chieftains and the Riverdance ensemble, among her many orchestral and contemporary performances. She is also a founding member of Cherish the Ladies, a traditional super group of all-female musicians. Eileen Ivers and Immigrant Soul will play on Friday, June 7th at 8pm. Tickets are $20 in advance, and $25 at the gate. To purchase tickets, go to www.BostonIrishFestival.info. Entertainment highlights include the unveiling of the first Boston Irish Festival Feis, hosted by the Harney Academy of Irish Dance. We are delighted to partner with Liam Harney and the Harney Academy to present a feis for festival spectators and participants alike to enjoy. We welcome all dancers young and old, novice and experienced, to compete on five stages for a day of non-stop Irish dance on Saturday, June 8 beginning at 8:30am. Dancers of all ages and abilities may sign up to participate in the competitions by visiting either the Boston Irish Festival website, www.BostonIrishFestival.info , or the Harney Academy website,www.harneyacademy.com. Fancy a break from all that dancing? Step over to the Tug of War competition on Saturday afternoon to watch teams pull for the top prize and title of Festival Tug of War Champion. If Tug of War isn’t your thing and you happen to be a redhead, you’re in luck—the Festival’s second attempt at the World Record Redhead photo for the most redheads in one area takes place Saturday afternoon at 2pm. Last year, we had over 300 beautiful redheads of all shades and ages. This year we want even more redheads, and we need your help! Festivities continue all day on Sunday with the annual Festival 5k Road Race Sunday morning at 9am, a performance by sean-nos dance troupe Atlantic Steps, and a Darts Competition. The Festival 5k is a flat as a pancake course that starts at the ICC and wanders through the surrounding areas, looping to end back at the Centre. Your race bib number guarantees you free entrance into the Festival after the race, where you can sit back for a well-deserved rest while enjoying the various stages of entertainment on the grounds. Feel free to get creative with your race costume to show off your Irish pride, too! Please visit the Festival website to register for the race. Post-race refreshments will be available at drink stations throughout the grounds, as well as a variety of foods to tuck into. After the race, head over to see Atlantic Steps perform at 2pm, led by show creator Brian Cunningham of Connemara and Boston resident and choreographer Kieran Jordan. Throughout the weekend, the Grafton Street vendors will be available with a wide selection of Irish goods and crafts for visitors to peruse. From Celtic jewelry to county crests to t-shirts, Grafton Street holds something for every shopper. The GAA Irish sports games will take place on Sunday afternoon as well. If you would like to volunteer at the Boston Irish Festival, please visit the festival website at www.BostonIrishFestival.info and fill out the online form under the volunteer tab. Ticket prices for Saturday, June 8 and Sunday, June 9 are $10 in advance and $15 at the gates, and $10 for ICC Members. Children under 12 receive free admittance. Festival hours are 6-11pm Friday, June 7; 11am-11pm Saturday, June 8 (Feis begins at 8:30am); and 11am-6pm Sunday, June 9 (Road Race begins at 9am).